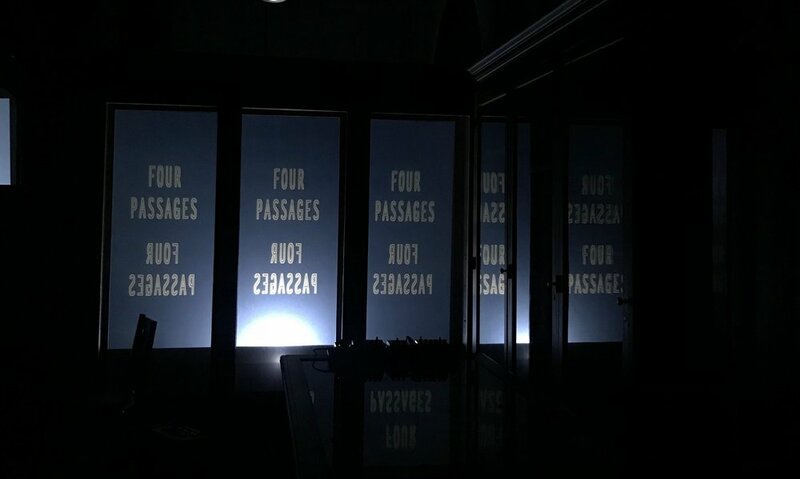 Four Passages (2018) is a video installation and performance. 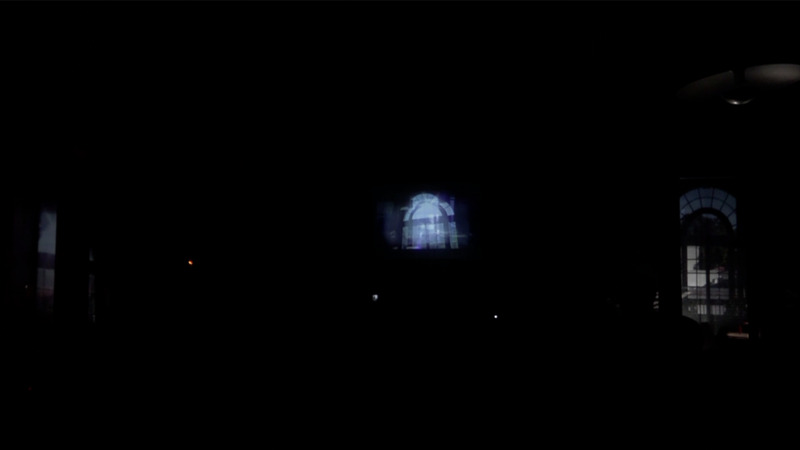 Three channels of video are projected onto frosted glass surfaces in a performance with a live music ensemble. 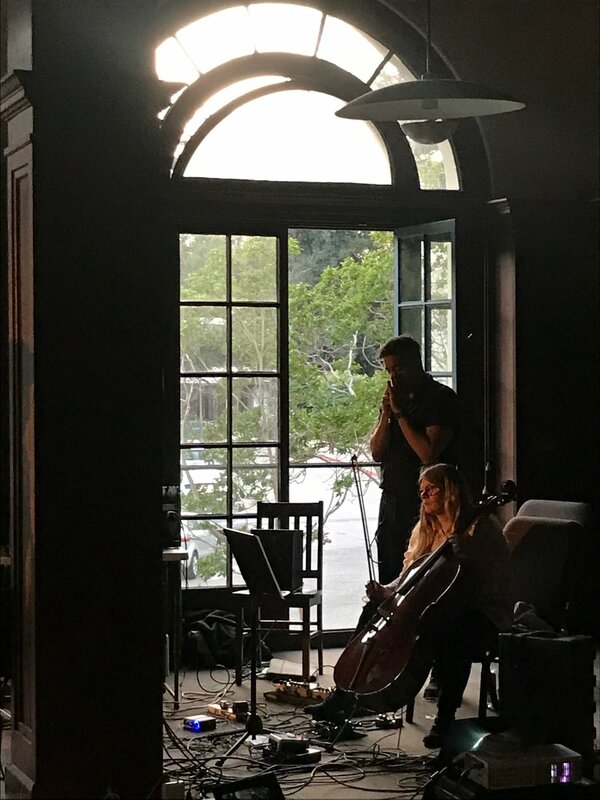 It was created for and performed at the Bender Room on 21 July 2018 at Mills College in Oakland, CA with Kris Force (cello), Rodolfo Cordova (voice), Sally Decker (electronics), and Tony Gennaro (percussion).